Experienced DJ/Emcee/Entertainer - "17 Years"
Djs are Fun, Friendly, Professional, Dependable and Show-up on time! Proper and Fitting Attire - Typically a Tuxedo for a Wedding or proper attire! Shopping for a Wedding DJ, MC, Special Event Entertainer or Entertainment? Horizon Entertainment DJs offers you a very customer based and focused approach to providing you with our DJ PRICING and DJ RATE QUOTES. You may have already found that many DJ websites don’t provide you with a very clear, concise, detailed or accurate approach to quoting their DJ rates and Special Event prices? Remember, no two weddings are exactly alike, no two wedding venues are alike and NOT all wedding and special event DJs are created equal. While shopping for wedding DJs, MCs and special event entertainment on the internet, there is really only one way to get an accurate and customized (specific to your needs) DJ Rate or DJ Price Quote for a particular event and that is by submitting a detailed, online, event specific application. While many DJs, MCs and entertainment companies often offer very little in terms of customizing their services to fit your particular needs, Horizon Entertainment DJs prides itself in offering you a vast array and assortment of digital music, sound and lighting equipment and special event packages to fit almost any budget! At Horizon Entertainment DJs our primary focus is on our customers. At Horizon Entertainment DJs you’ll also find that it’s easy to tailor our DJ entertainment services to your wedding reception or special event. So whether you’re looking for the best value for your entertainment dollar or you simply want the most impressive mobile DJ entertainment that money can buy in Wisconsin, we have a DJ system and DJ entertainment package that’s just right for you! With Horizon Entertainment DJs you’ll know exactly what you’re getting and feel comfortable knowing that you’re only paying for the services that you want and need. While Horizon Entertainment DJ realizes you are free to select any wedding DJ or special event DJ entertainment company of your choosing, keep in mind that the wedding DJ or other special occasion entertainment will most likely be the most important facet of your event. Finally, since Horizon Entertainment DJs is centrally located between Madison, La Crosse and Wisconsin Dells, we serve a large area of Central Wisconsin, Western WI, South-central WI, Southern WI and Southwestern Wisconsin. So, no matter where you’re planning your event in the southern half of Wisconsin, you can enjoy great wedding DJ music and special event DJ entertainment from Horizon Entertainment DJs. If you have any questions, please feel free to contact us by email or by calling direct (608) 647-7187, mobile (608) 604-4899 or Toll Free (877) 647-6203. 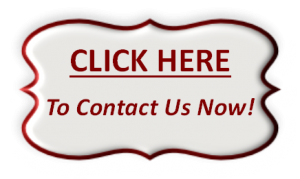 To get an accurate and customized price quote on "Top-Notch DJ Entertainment, simply click on the “Get a Quick Quote” link (that appears above) and a member of our friendly DJ entertainment staff will get back to you promptly. There is simply no substitute for experience. . . Horizon Entertainment is one of Wisconsin’s most well-established and experienced wedding Disc Jockey services. We provide our clients mobile light and sound systems and Disc Jockeys of the Highest Quality, that are second to none. Horizon Entertainment allows you to set the terms of the down payment agreement or may require no down payment at all. All engagements are secured through signed contracts. The cost of YOUR wedding entertainment is negotiable, based on YOUR individual needs. There are no hidden fees and once a price is settled and agreed upon, there are no additional charges of any kind. No two events are the same! No two events are created equal! Your wedding day is no exception. Because YOUR wedding reception is unique, it should be treated as such. It should be treated individually and not as if it was generic. Because every event is different, Horizon Entertainment works with you to find a package and price that works for YOU! As with just about everything, several things can factor into the cost of your wedding entertainment, many of them in your favor… which is why we like to give you custom quotes, instead of a generic price list. Remember (whether other DJ companys or DJ company websites point this out to you or not) as with all businesses, DJ entertainment company prices and DJ entertainment rates are based on a large number of determining factors, including availability, the type of event,location of event, size of event, distance to event, time of year (peak or non-peak season), hours or length of performance,type of sound and lighting equipment wanted or needed, set-up and tear down time, week-day or week-end and your particular event date. Our advice is that you outline the basics of your event such as the date, city or venue if possible, number of hours of music and any other pertinent factors or considerations and then shoot us a quick phone call, text, online application or email for a prompt, no obligation quote. Yes, it's just that easy! Just CLICK HERE to contact us and get started. Give Horizon Entertainment a chance to earn your business. We would love to be a part of your event! We encourage you to contact one of our wedding DJ specialists to discuss your individual entertainment needs. Let Horizon Entertainment Djs help make your vision become a reality. We're confident you'll find no other Dj entertainment service offering more for less! Call or text (608) 604-4899. Horizon Entertainment understands that you certainly have a vision for you wedding reception. . . Horizon Entertainment will perform as long as you need or want us to. Horizon Entertainment will provide you with a wireless microphone at your head table and handle all introductions and announcements, as well as provide you with the absolute best sound and light show. No DJ service has more wedding experience or experienced Disc Jockeys than Horizon Entertainment. How do we do it? TEAMWORK! Horizon Entertainment will also help you with your Event Planning. With the help of our unique and comprehensive wedding reception guide sheet we will help coordinate and synchronize every aspect and specific detail of your event. If you will go to or www.tophitsusa.com and then click on Music/Video Search, you can select many of your favorite songs from a50,000+ song database. While this isn’t an all-inclusive list of Horizon Entertainment’s massive music collection (because this particular database only goes back about 20+ years) it will give you a good idea of the vast array and wide variety of music that Horizon Entertainment has to offer. Rest assured that every detail of your reception will be covered in our professional pre-planning session. . .
•That you’re wedding is a once-in-a-lifetime event that deserves, and receives, our total dedication. •That our special attention to detail will enrich and enhance your affair. •That our creativity, quality, and attention-to-detail separate us from the rest of the industry. •That our professional experienced DJs are your most valuable asset, and no one has more experience than Premier Entertainment. •That what we do is important, and we love what we do. We know how to bring the best out of every crowd. •A caring attitude that puts your style and feelings first. We want you to be delighted. This is our #1 Goal. •Innovation in everything we do as a means of sustaining a leadership position in our industry. •Honesty in all of our dealings with clients and vendors. You, our customer, are the reason Horizon Entertainment exists. Horizon Entertainment will be honored perform at your reception, with both refinement and energy, where you want it. It's these qualities that have made our guests refer us and continue to come back to Horizon Entertainment on a regular basis. I would love the opportunity to visit with you to tell about all that Horizon Entertainment has to offer for your wedding reception. We've been to events around the country, met with nearly every type of vendor (including lighting vendors?!) When you aren't a bride, and you ask, they always have complaints and frustrations with their customers. But because they're professionals, don't want to lose business, and know the wedding vendor industry is tight-knit, they only carefully complain to select people. We've been those people and now it's time to share what you'll never hear directly. But more than just hearing their complaints, we're offering solutions or ideas for how to avoid being "that bride." In the process you may actually get better service from your vendor and have a more enjoyable wedding. If you're a wedding vendor, send along YOUR complaints and with complete confidentiality about who you are, we can grow this article. "How Much Do You Charge?" Surpringly a question we think is helpful to ensure we aren't wasting our time or the vendors time can turn into quite a bugaboo for vendors. They don't want to share a price so quickly for many reasons. You may not know the details of what they offer so by saying a price you have no context. One wedding photographer, for example, may quote you at $1,500. The next wedding photographer is $3,000. Raw dollars alone won't tell the whole story. The first photographer may not be around for as many hours, may have no reliable back up in case of illness or emergency, likely gives you negatives and requires YOU to do all your prints and assembly (which takes many countless hours of your time and without skill, the album may never really be very good.) The photographer may also be less experienced, therefore requiring more time taken away from your wedding festivities, or perhaps being unable to control large groups to get good shots, or not being super fast in running around to capture all the action. Some wedding vendors are also frustrated by the question because they feel they are artists, and the first question you ask an artist isn't "how much is a painting?" You engage the artist in their work, their background, experience, and skill. Then you engage in the options, how they are unique, your needs, and come to a general quote for their product or services based on a mutual understanding of what that money will buy you. Unlike a single painting, they have many options so their price range can be quite dramatic depending on your exact needs. What Brides Can Do Instead. . . Instead of asking wedding vendors how much they cost, you could flip it around to learn from the wedding vendor. Instead of saying, "how much does this cost?" you can ask, "I'm budgeting about $2,000-$3,000 for [insert their wedding category here which you can find on our wedding budget page]. Do you think this is a reasonable expectation with a wedding of about 150 guests, at such-and-such location?" Now instead of asking for their rates, you are going to get their wisdom. If they're out of your league, they'll either just admit it, or they'll describe to you what you'll get for that range and what you would get IN ADDITION if you went a little higher. This will help you even if you don't use that vendor. Remember they have to be competitive so if you happen upon a low end vendor, you're not going to get a quote above what they normally charge just because you say you have more money! They know you talk with friends and competitors, so they aren't going to try to weasle more money from you. One most universal complaint is how often brides call or email after booking with a wedding vendor. My guess is this is the needy or vulnerable bride who doesn't realize she can't have it both ways. You can't have a fully attentive vendor and ALSO have a very popular, competent vendor who is actually serving other weddings while you're freaking out about some small detail 8 months before your big day. It's easy when you're sitting at work and make a call to a vendor to expect a call within hours, or even the same day. But remember those vendors are busy folks, too, and they must prioritize the weddings just around the corner first. Often they don't make enough money to hire a receptionist type person to simply answer all the calls, which means many vendors work very long days and THEN spend hours responding to email and calls. And keep in mind the skills required to do their job (photos, baking, etc) are often very different from the mundane customer service skills we expect from people whose full time jobs is administrative work. Just because they aren't timely in returning your calls or email doesn't mean they won't be a fabulous wedding vendor for what you're hiring them to actually DO. If you already know you are "that bride", or suspect you're going to be getting a lot of questions from your mom that you won't be able to answer, plan accordingly. When you book a wedding vendor, ask how they best operate when it comes to all those small details and questions. Find out how long they usually take to respond to questions, so you can be armed with "their normal" and not freak out when it takes a day to get a return call. You can even say, "when I'm freaking out, what do you recommend I do to calm down?" Similarily if you have unique requests or pricing, ask the vendor how you can help them manage the special details. They may appreciate you sending them a written up set of notes from the conversation so they can stick it in your file. They may suggest having the maid of honor remind them the day-of, that, say, Grandma is coming in a wheel chair and needs to be in the photos, but will be arriving late. Or the vendor may say they work best if they get an email one week before the wedding because that is when they review all the details for the weddings coming up and the email will prompt them to more carefully review the unique requirements for your day. And other vendors will be offended and remind you, perhaps not so gently, that they are PROFESSIONALS and their job is to manage all your needs without being reminded. Wedding vendors are as varied as you and me. Better yet, do all the research you can, ask tons of questions as you book with the wedding vendor, and confirm with the wedding vendor how to get your questions answered before your wedding. (Some vendors might like to have a meeting 2 weeks before your wedding to go over all details. If this is the case, you're best off waiting until then anyway so you don't have a trail of emails that your vendor is not likely to be keeping track of.) Some may let you know they love emails, or the phone, or they may prefer you mail in notes. You don't know if you don't ask! Family drama comes in many forms. It may be showing up for cake tastings and getting into a mini civil war with your mom over the cake style, flavor, or prices. Bakers love to bake, not get involved in conflict. They'll often leave the room and wait for you to talk. Wedding coordinators see a lot of drama and they are sometimes willing to play middle-man, sometimes not. DJ's are also often asked to play babysitter to an obnoxious uncle who wants to grab the mic. Some DJ's are great about it and will have "an accidental power failure" just as the obnoxious toasting begins. Other DJ's have no interest in getting involved with the interpersonal issues of your wedding and are hired to just play music, thank you very much. Photographers often learn fast when parents call them post-wedding, irrate at the lack of certain photos, and realize in the future they NEED to ask the parents of the bride and groom to review the "must have photo list". Afterall, it doesn't help the photographer to blame the bride and groom. The parents don't care about anything but that this photographer didn't do their job and get the photos. Obviously we're fans of working out your issues without requiring wedding vendor mediation. This entire website is dedicated to family drama and we have a personalized wedding stress coach service to directly help you, with or without your groom, parents, in-laws. The biggest way to avoid drama is to be well prepared. If you do your research ahead of time, then before you visit the baker, for example, you talk to your mom about the options and get her reactions BEFORE you are doing cake tastings. It's going to be a lot easier to let her be horrified at the expense at home than in the actual store, where you'll likely feel horrified at her outrage, fueling the flames of resentment and conflict. If you have impossible people in your life, think creatively and don't rely on wedding vendors to rescue difficult situations. By all means, however, ask the DJ, or photographer, or caterer what they recommend for situations that you're dealing with. You may be surprised at the creative options out there for, say, bitterly divorced parents, for dealing with small children at an adult-focused reception. The Complaint: What Do You REALLY Want? Wedding vendors can't ask you if you're more self-obsessed or focused on your guests. You'd be more than a little offended at the question, and it still wouldn't help the wedding vendor. For example, wedding videographers and wedding photographers have an enormously challenging interpersonal dilemma they need to try figuring out on their own. What is the dilemma? Are you the kind of couple who expects to be full center of attention the whole day? Or, are you the couple who wants the full view (through video/photos) of how the day passes among the guests? One wedding videographer shared how she does not tape while people are eatting. She uses that time to eat her dinner. But at one wedding an aunt came up to her irrate that she wasn't doing her job, filming people while they ate! She was stuck between her professional knowledge that watching people eat isn't fun to watch, nor fun to be taped while eating, and the image of her being "paid to sit and eat." Where does professional experience end and your own needs begin? What if you assumed the camera will be on you all day and the vendor takes a bathroom break? Do you postpone your next wedding moment until they return? Do you have someone go hunt down where your vendor went? Do you move forward, not caring if every single minute moment of the day is captured?? Another way this issue manifests is whether you expect the photographer to treat you like the king and queen, following your every move, or whether there are times that you want the camera on everyone else, to capture THOSE moments. There is no right or wrong, but you can see how tricky it is for wedding vendors to balance what they might assume you'd like without offending you. And because no two weddings are alike, and things are happening in "real-time", it's always a balance between capturing you and noticing what else is going on so they can quickly grab spontaneous moments. - Elizabeth Doherty Thomas, is a co-founder of The First Dance, along with Marriage and Family therapist father Bill Doherty. The First Dance was a Modern Bride Trendsetter award winner in 2007 for taking on the complex family dynamics of wedding planning. Read Take Back Your Wedding: Managing the People Stress of Wedding Planning for more advice on working through the people stresses of wedding planning as a couple, with your families, and how to strengthen your upcoming marriage through this enormous first task of married life. One of the most daunting tasks facing a Bride and Groom is knowing what to look for and knowing what questions to ask their prospective wedding entertainment Djs. Horizon Entertainment will always try to provide you with the knowledge and tools you need to make this task easier, in order to make the wedding of your dreams come true! On this website, you will find all the information you need to effortlessly plan the perfect wedding, as well as find the right wedding Dj for your event. Scroll through the information and articles to find out what you must do and not to do when prospecting for your wedding entertainment and speaking to mobile disc jockeys. The recurring theme that you will find in these articles suggest discussing price LAST and getting to know your wedding Dj FIRST. Know what a Dj has to offer or what a Dj can and will provide or won’t provide for you, then discuss your budget and their pricing. Finally and perhaps most important, you will need to decide what is most important to you and your wedding event and then be somewhat flexible. Is your wedding Dj more important than flowers? What about the wedding cake? Is it more important for your guests to have a really great time dancing and be well entertained or simply to have a wedding that appears elegant? As you are working on your wedding budget, continue to encourage yourself by getting these types of priorities in line, so you will get the most out of your wedding dollar and investment. Always keep in mind that a good rule of thumb, with any wedding Dj service or any company for that matter, “Does the person make you feel special? Do they give you their undivided attention when you speak with them?” If you come away from the conversation feeling like you’re just another number, it might be best to move on to the next company. Your wedding day is important and should be the most beautiful and special day of your life! You should be treated that way by all of those you consider hiring. Once you’ve decided upon a wedding Dj or any other service, be aware they are professionals and you also need to treat them that way, by relying on their suggestions and expertise. By using the tools and information you find on this website, you should be better informed, more able and more comfortable in making an educated decision, the right decision on whom you should hire as your mobile Dj for your wedding event or for that matter, any other gig. How much should you pay for a Great DJ? How much should you spend on a professional wedding DJ? Well, let’s put it this way….the bad ones are a dime a dozen! It couldn’t be more true that, “you get what you pay for” when it comes to hiring a professional DJ. In reality, the difference in actual price between a bargain DJ and a professional DJ is relatively small compared to the overall cost of planning a wedding. Couples will think nothing of spending $20 to $40 per person for food and drinks, and then turn around and bargain-hunt for the cheapest entertainment that they can find, often spending less than 5% of the total cost of the wedding on entertainment. Your guests are likely to remember only one thing about your wedding when they leave: Did they have a good time? Investing 8-10% of your wedding budget on your DJ is actually a great value, considering that he accounts for 80% of the responsibility of a successful wedding reception. Bear in mind that the average cost of a vegetable tray for appetizers is $350-$400! Ask any bride and groom and they will tell you that the entertainment value of your wedding reception is worth far more than a vegetable tray. When deciding how much you can afford for entertainment, first think about how much you can afford to lose if your entertainment is poor or mediocre.Look for professionals and expect to pay them what they’re worth. A great DJ that is able to handle all the responsibilities discussed in this report will undoubtedly cost more than one who cannot live up to these strenuous expectations. Pricing professional DJs can be a tricky thing. A lot of DJs will take advantage of the fact that couples have little or no experience in shopping for a professional DJ. Therefore, they will create a number of confusing packages for you to choose from, knowing full-well that you will have a difficult time distinguishing between them. They do this by charging extra for the tools that should be basic for a successful evening, things like proper equipment, lights, travel expenses, etc. A reputable DJ company will understand and sympathize with your lack of experience in hiring their services. A good DJ company will make it easy for you to understand exactly what you are going to get, for how much, and for how long. The ideal DJ company will offer one, all inclusive package! If your DJ costs less than your vegetable tray, then you’ve got a problem! In the Reno Nevada Metro area, for example,expect to pay anywhere from $750 to $1500 for a professional DJ who you can have confidence in to make your wedding a complete success. The price may be less during the “off” season. The actual price will depend on several factors, including day and date of the wedding, duration of event, equipment needs, etc. Again, it is best to find a company that offers one, all-inclusive package. Horizon Entertainment provides more than three-times or $30,000.00 of sound and lighting gear for each event (value = $1,500.00). That totals up to more than $3400.00!